A virtually unlimited number of lines can be planted on a bed. The shoe rack is made to accommodate very close spacings. 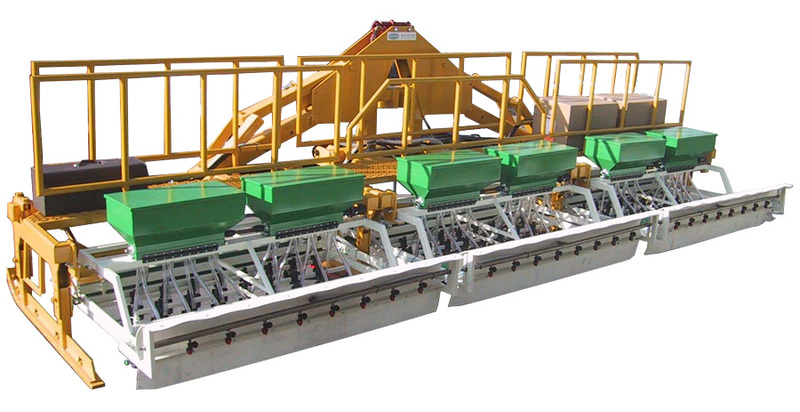 Standard hydraulic drive allows for easy agitator speed and seed rate adjustment. 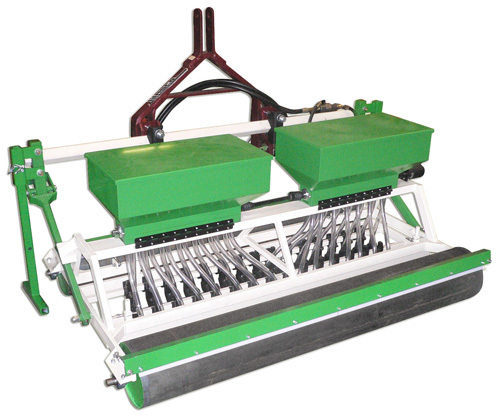 A single plate per hopper assures consistent seed rate and quick and easy hole size changes. 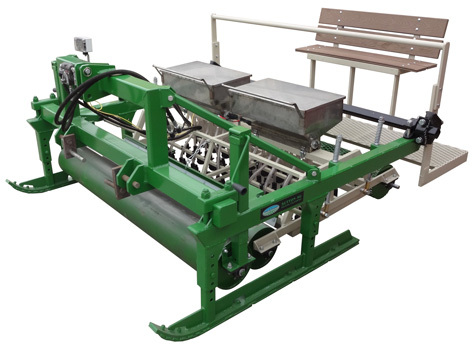 Durable steel seed plates for long wear. 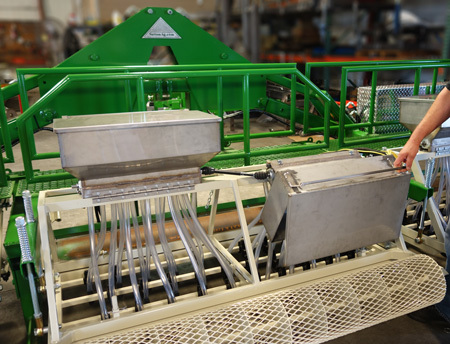 Hoppers tilt for efficient clean-out. 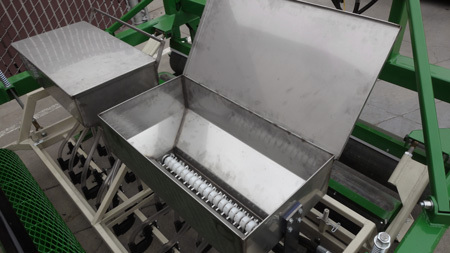 Only one or two hoppers per bed makes seed changes easy. Shoe depth can be changed individually, or all together. Durable chromium shoe construction provides long wear. 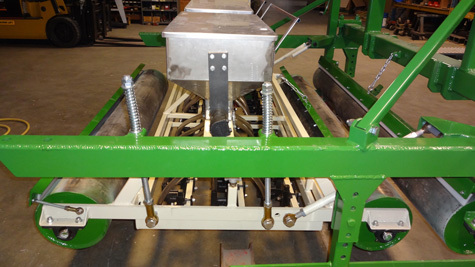 Sutton Ag's custom made sled features runners which are easily adjusted for bed heights from Ø-inches to 12-inches. Sutton Seeder in stacker bar with catwalk, railing, and custom spray system.